Whatever vehicle you drive, whether a carefully restored classic, a modern sports car or a heavily converted racer, you want to be sure that you can claim its real, current, value should you have an accident. Many insurers cover all sorts of cars on blanket, cover-all policies, regardless of their market value - giving you only the bare minimum payout after a crash, despite how much time and effort has gone into it. Some policies pay out far less than the car is worth, often just around trade price leaving you out of pocket when you buy a replacement. The work and care that people put into cars can often save them from depreciation, and sometimes actually increase the value of a car. Many insurers won't take this into account, meaning all your time and effort is wasted when the car is lost, but our agreed value policies take all of your efforts into consideration guaranteeing you a payout you are happy with. With an agreed value insurance policy you can be secure in the knowledge that you can receive enough money to buy a replacement car of similar value, getting back on the road as soon as possible. Adrian Flux agreed value car insurance can offer many drivers a cheaper and more appropriate alternative to the expensive GAP insurance products often sold alongside vehicles purchased with finance. 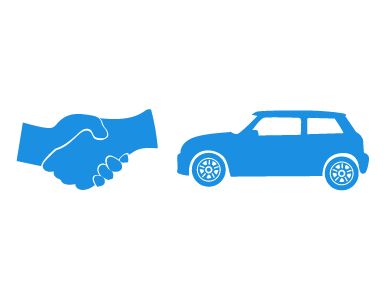 Agreed value insurance provides you with the difference between the total loss payment you receive upon writing off your car and the agreed value with us giving you the funds to replace your cherished car with a similar model. Before we can provide an agreed value policy for your vehicle, we will need you to send us some photos of your car - these can be sent digitally to our offices. For more information on our agreed value car insurance policies and to find out how we can secure you the best possible payouts, call us today on 0800 369 8590 or, alternatively, complete a callback form on our website or click the quote button.